The individual fundraising page allows one person to create a personal page, set a fundraising goal and reach out to friends and family to fundraise on behalf of the Home Run Challenge. The family or team fundraising page allows a group to fundraise together for the Home Run Challenge. After someone creates a team fundraising page, members of a team join in the fun online and create their own personal fundraising pages to support the collective team fundraising goal. The Foundation for Mitochondrial Medicine supports the most promising research for treatments of mitochondrial disease. Mitochondrial disease affects 1 in 2,500 people and is linked to more common diseases like Autism, Parkinson's, Alzheimer's, muscular dystrophy and more. 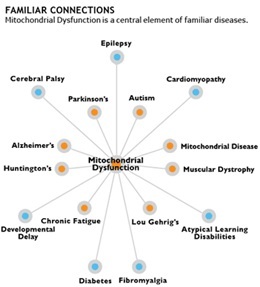 Mitochondrial dysfunction is a core element in these diseases. Learn more at www.mitochondrialdiseases.org. Becoming a Hope Flies Athlete means running, walking, climbing, jumping, whatever your athletic call, all in the name of a friend or family member impacted by mitochondrial disease. Whether your destination is a serious Iron Man competition, the Boston Marathon or your neighborhood Spring Stampede, this personal fundraiser page allows you to participate in any event and in any location, all for your loved one. Join Today!